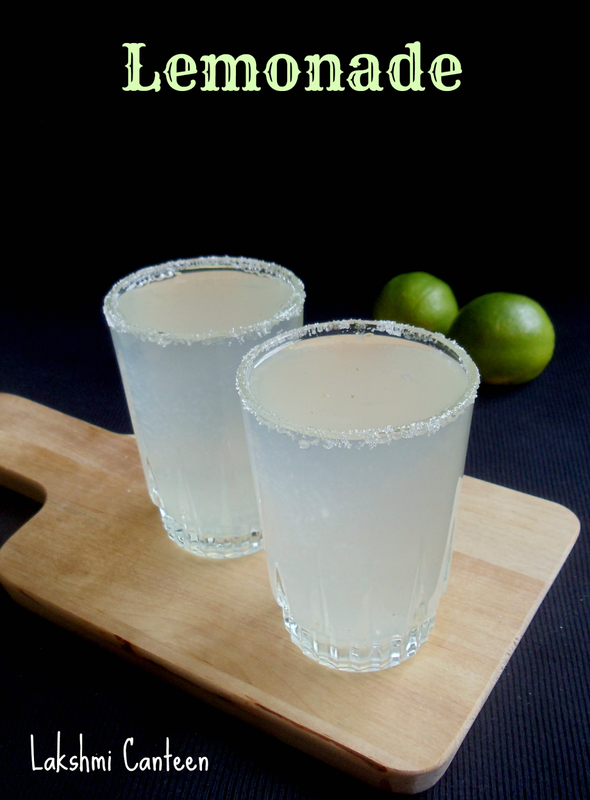 Limbiya Sherbet or Lemonade is one of the popular summer drink all over the world. 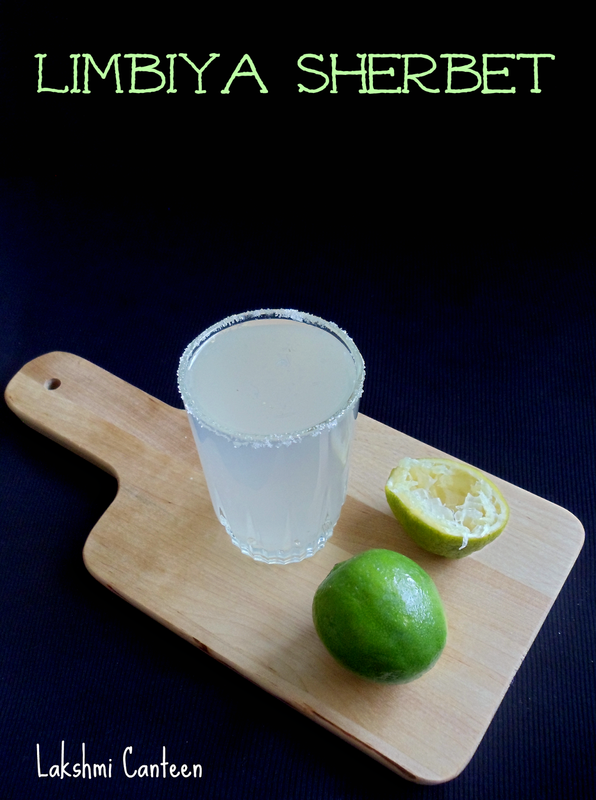 There are so many variations of lemonade and this is the recipe I grew up with. My mother always added a pinch of cardamom powder and it does add a wonderful touch. 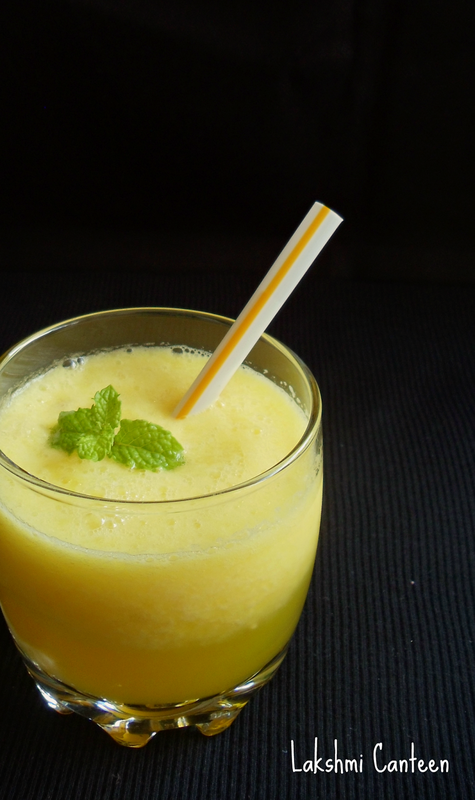 Do try making this easy summer drink and enjoy! Take water in a bowl or a measuring jar. Then add in sugar, lime juice and cardamom powder. Mix well and taste it. 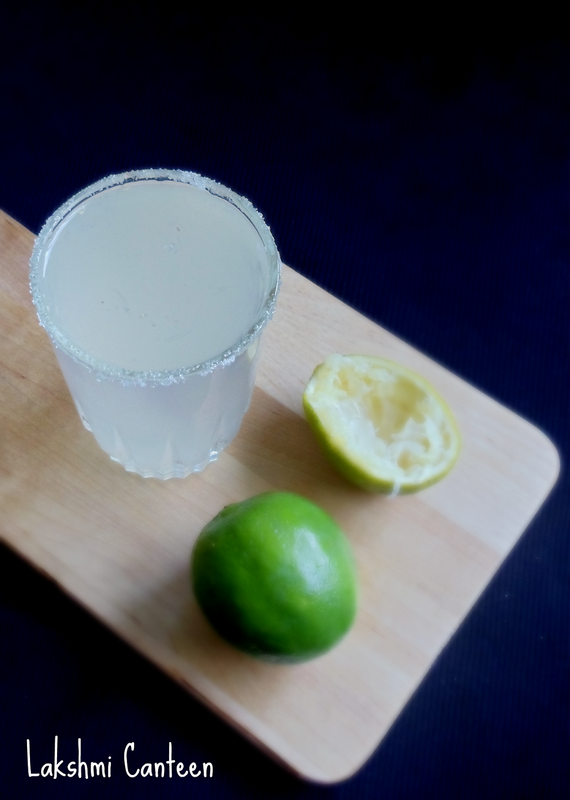 Add more sugar or lime juice, if desired. Chill the mixture. Limbiya Sherbet is ready!! Serve it Chilled. Above measurement serves 1-2 people. 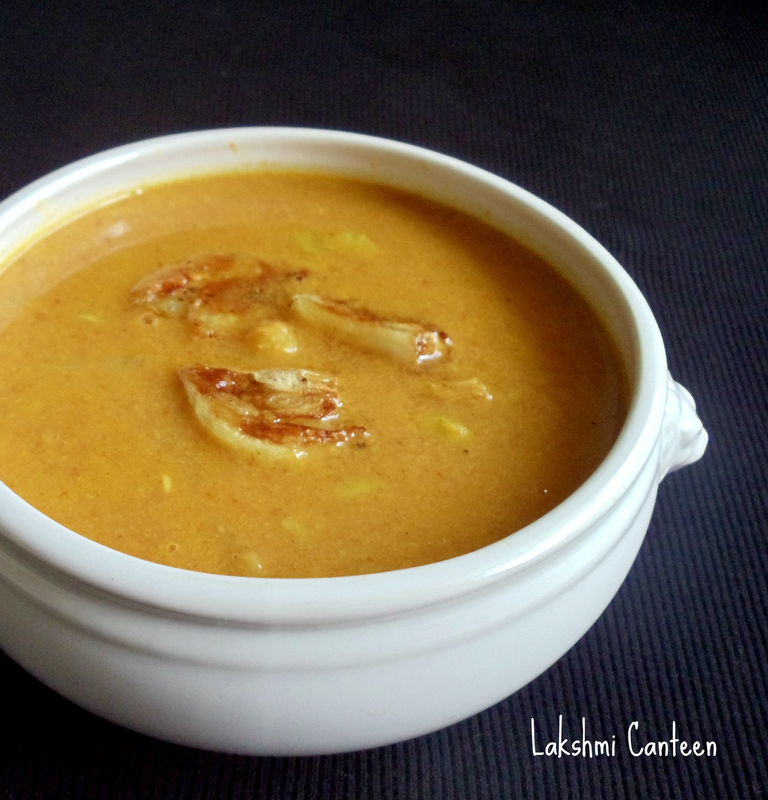 Mashinga Saang Randayi is a very flavorful coconut based curry. 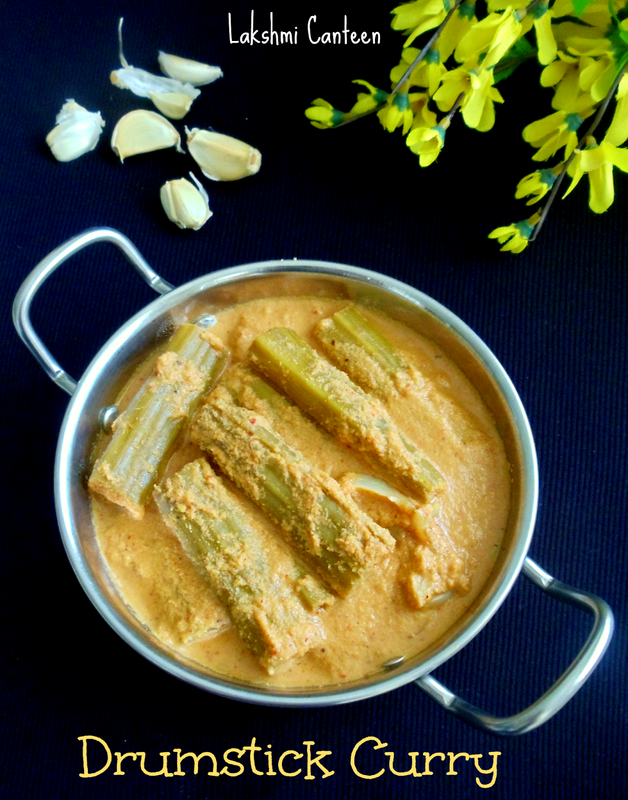 In Konkani, Mashinga Saang means drumstick. I got this recipe from my mother. She learnt this recipe from her sister. Whenever my father get drumsticks, she makes this curry most of the time. 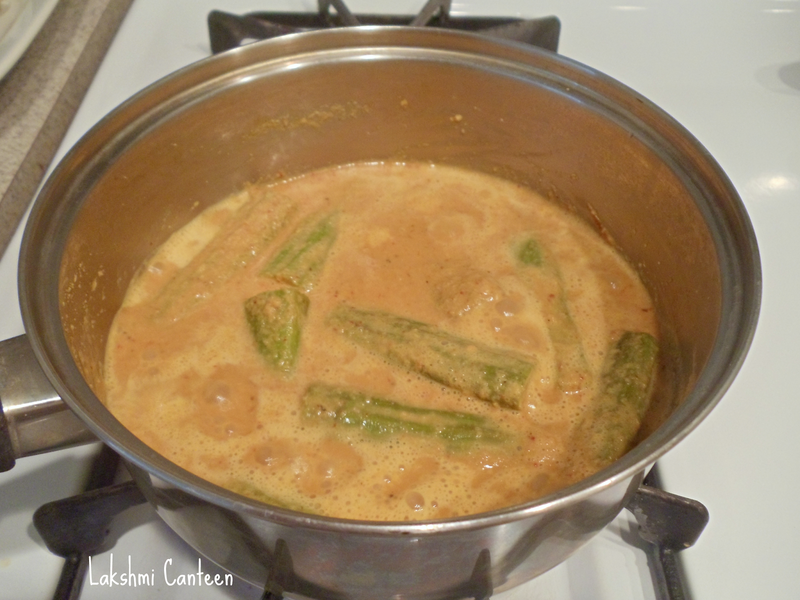 I love this curry and it goes very well with rice. 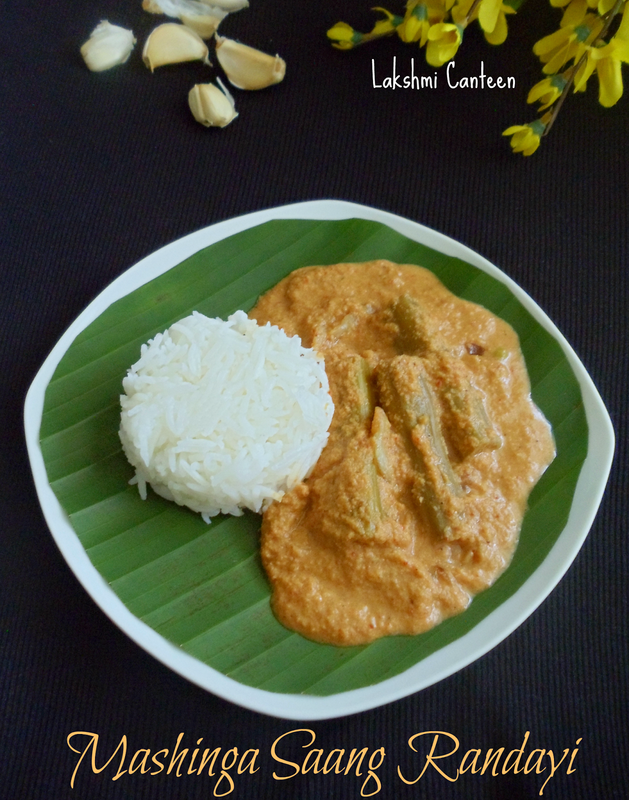 The drumstick pieces are cooked initially and then simmered in coconut masala. Finally seasoned with roasted garlic. The garlic indeed makes this curry very tasty and flavorful. I found fresh drumstick in Indian stores. I picked them right away thinking of this curry. The curry indeed made me nostalgic. Every bite brought back so many memories. Indeed food is one of the things which always connects me back home. 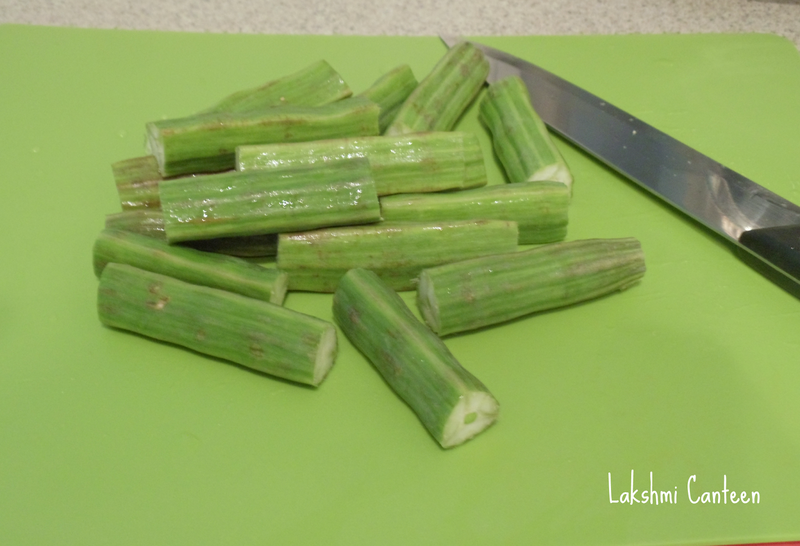 Wash the drumsticks and cut them into 2- 2.5 inches long. Then cook them in a pot containing water and salt, just enough to cook them (I added more water and later had to remove half of it). 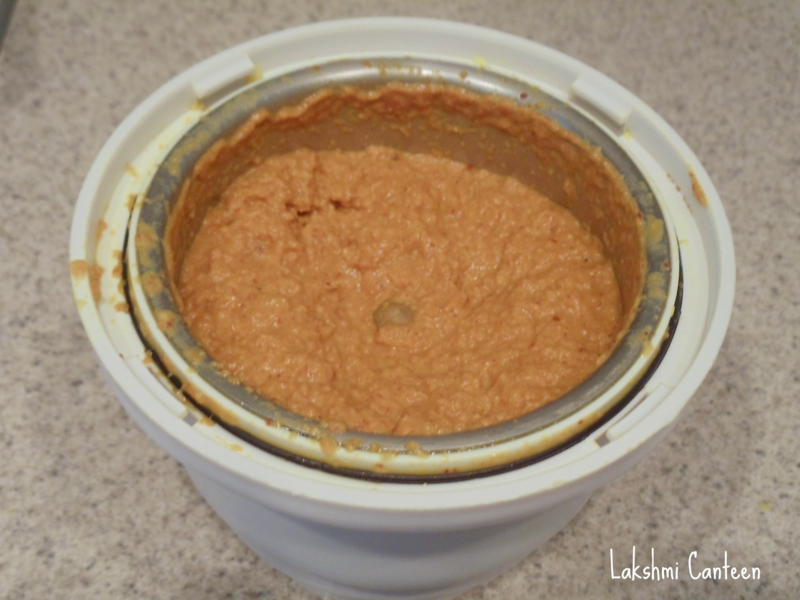 While the drumstick is cooking, prepare the masala. 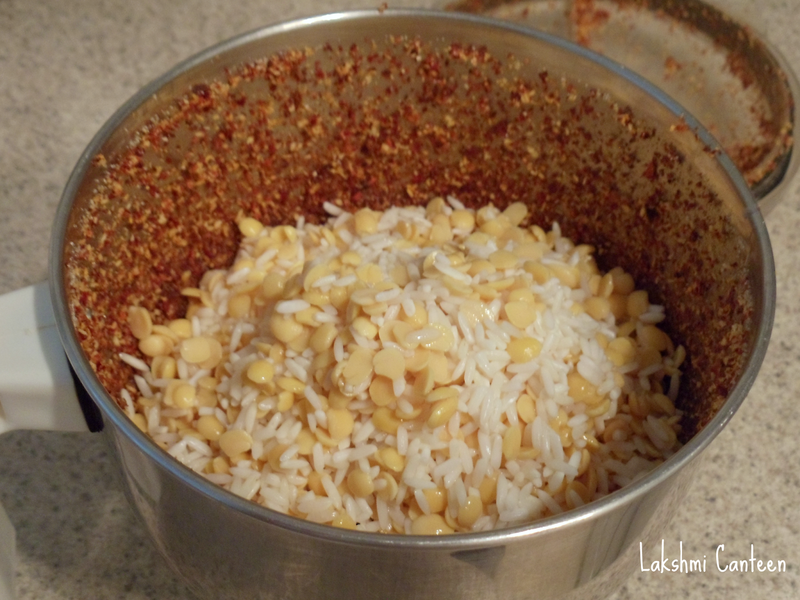 To make Masala - Grind grated coconut, roasted red chillies (just roast the dry red chilli in few drops of oil) and tamarind to get a fine paste. Add little water, which helps everything to come together. When the drumstick are cooked (as it gets cooked, the color changes and it softens up. 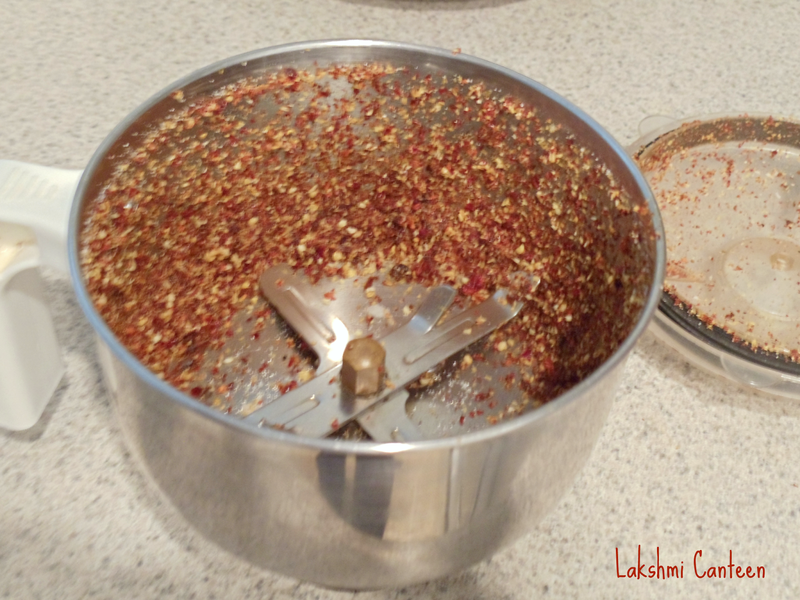 Just press with a spoon to check for doneness), add the ground masala. Mix well and bring it to a boil. 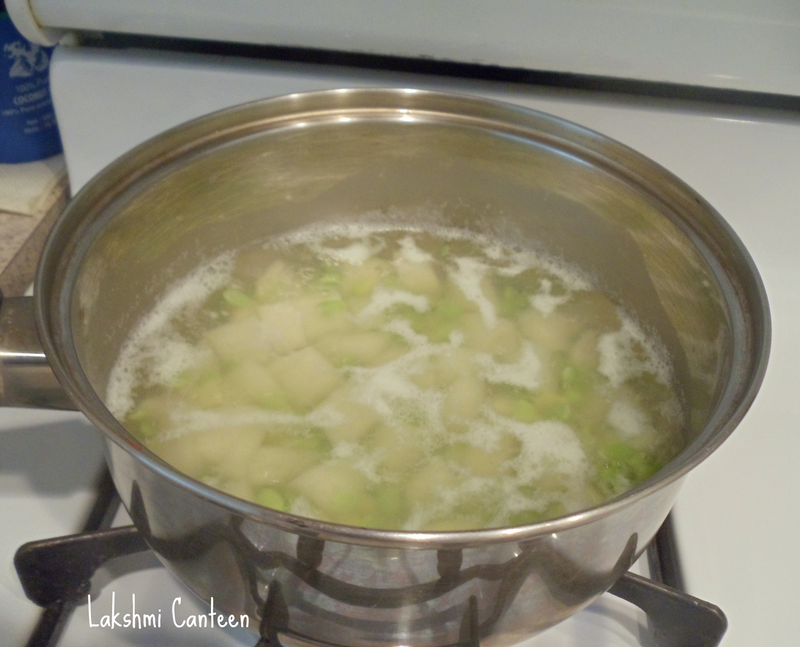 Once it comes to a boil, continue heating on a medium flame for 3-4 minutes. 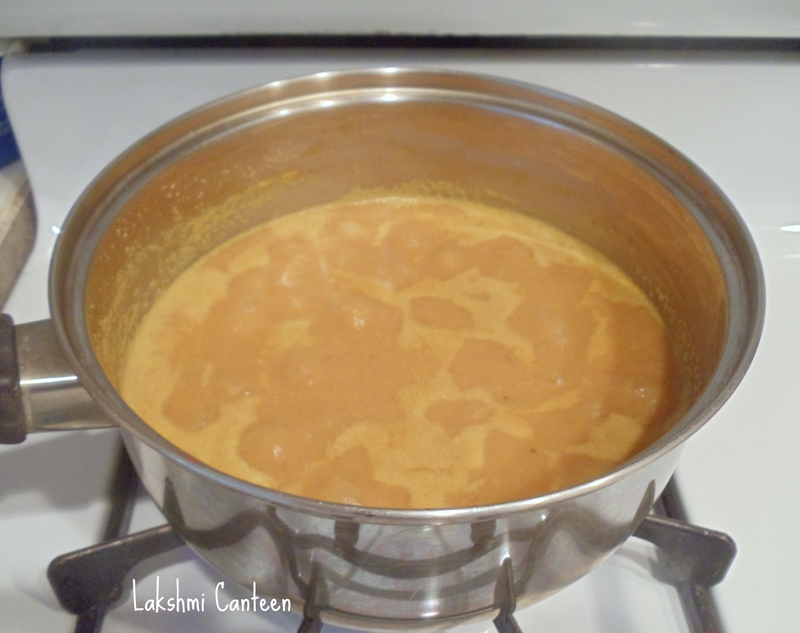 Adjust the consistency of the gravy by adding water. The finally consistency should be medium thick. Once done, turn off the heat. Finally prepare the seasoning and mix it in the gravy. For Seasoning - Heat oil. 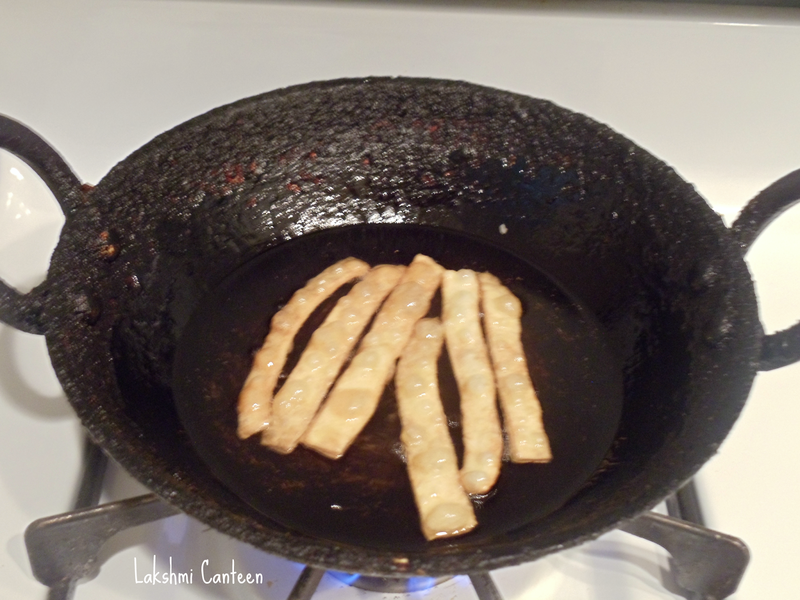 Once hot, add crushed whole garlic pods and fry them until they turn golden brown on all sides. 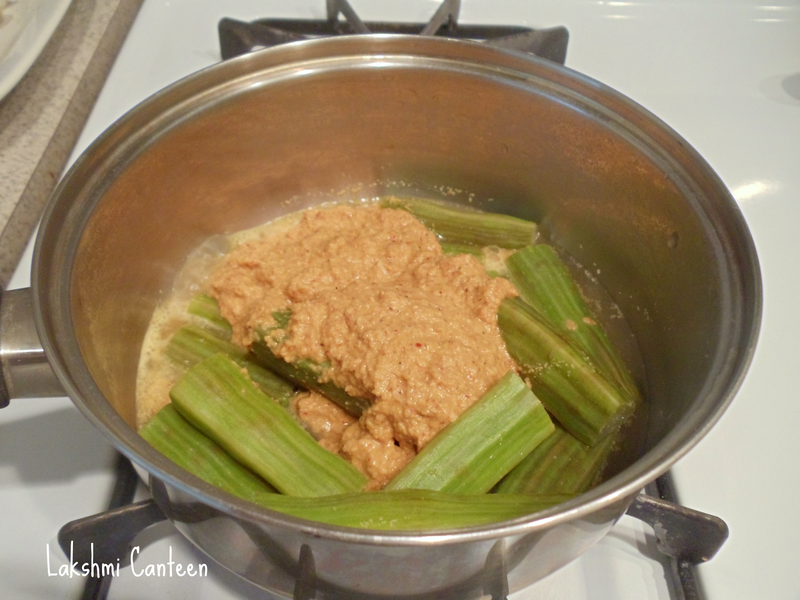 Then turn off the heat and add it in the drumstick curry. Mix it well. Mashinga Saang Randayi is ready!! 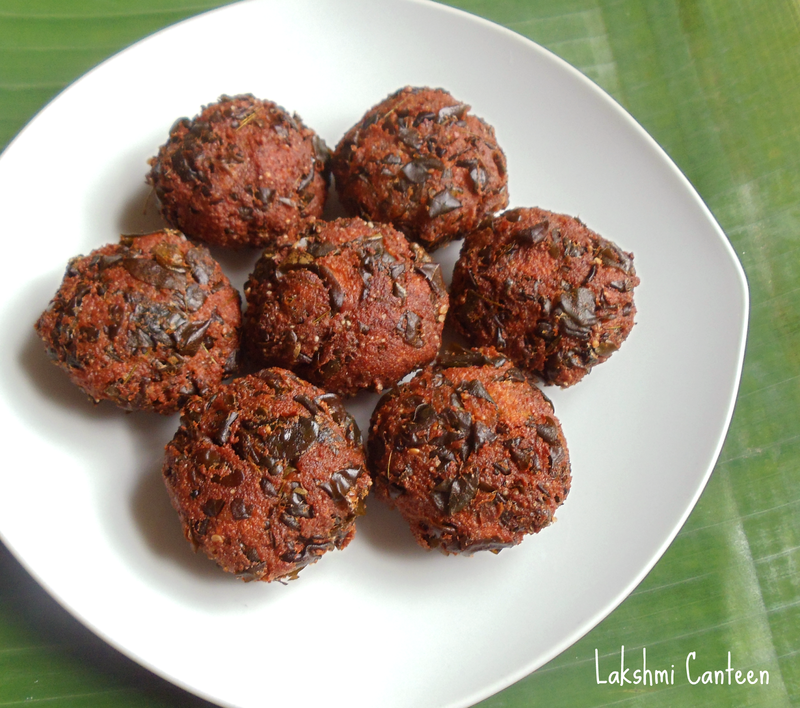 Serve it along with rice and curd. Above measurement serves two people. 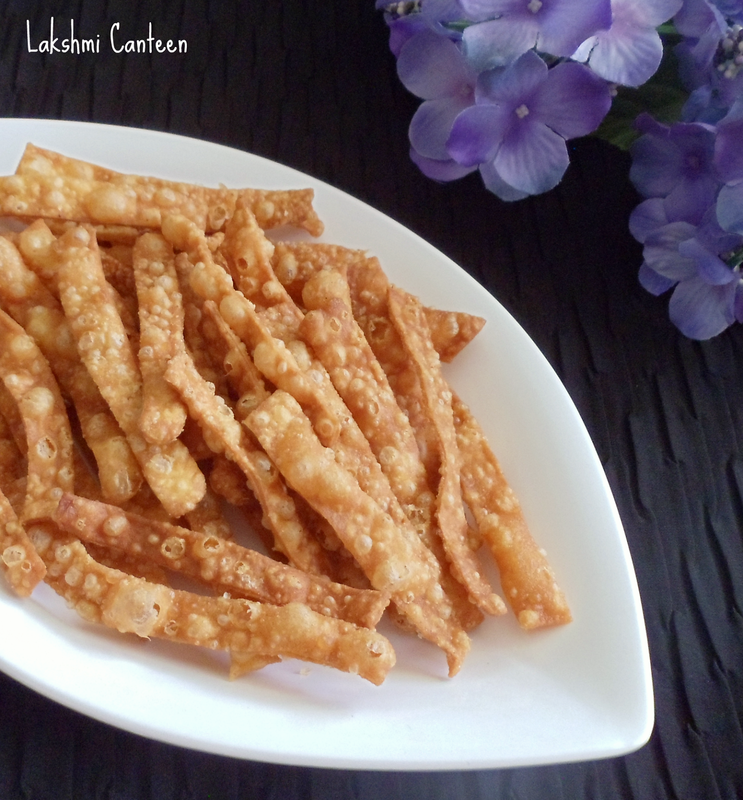 Alsando is a simple, tasty deep fried savory snack. It is a recent try in my kitchen. 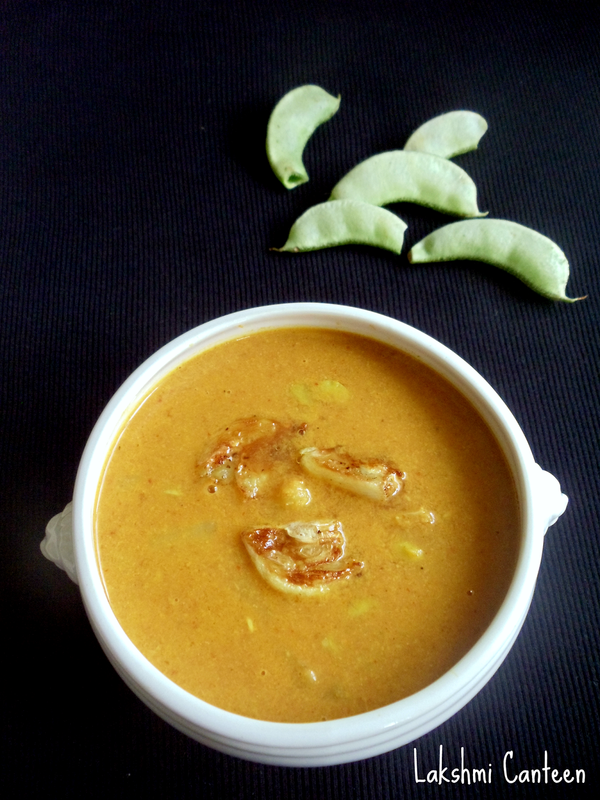 I adapted the recipe from a cook book written by Jaya V Shenoy. 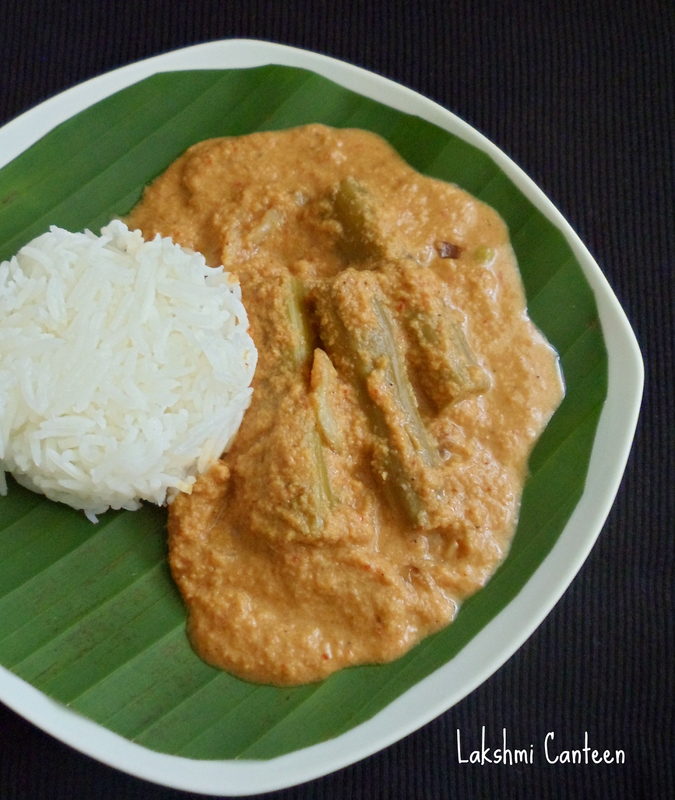 In Konkani, Alsando means Long beans. 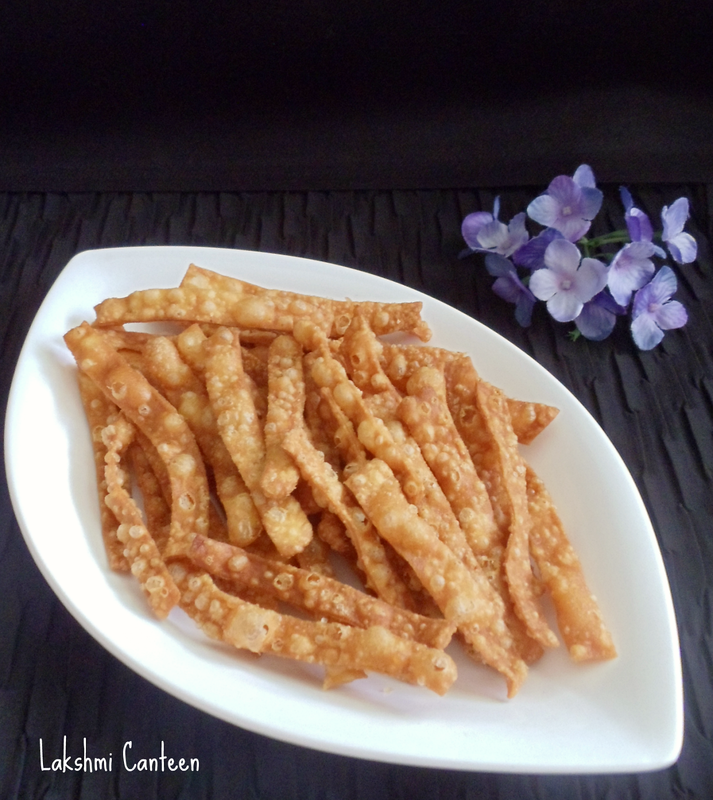 This snack is made thin and long, which looks like the long beans. Hence the name Alsando, I guess. I had been eyeing on the recipe for quite a long time and finally I decided to try it. It did taste very good and I was very happy of the outcome. Do try making this and I am sure they will disappear in no time!! 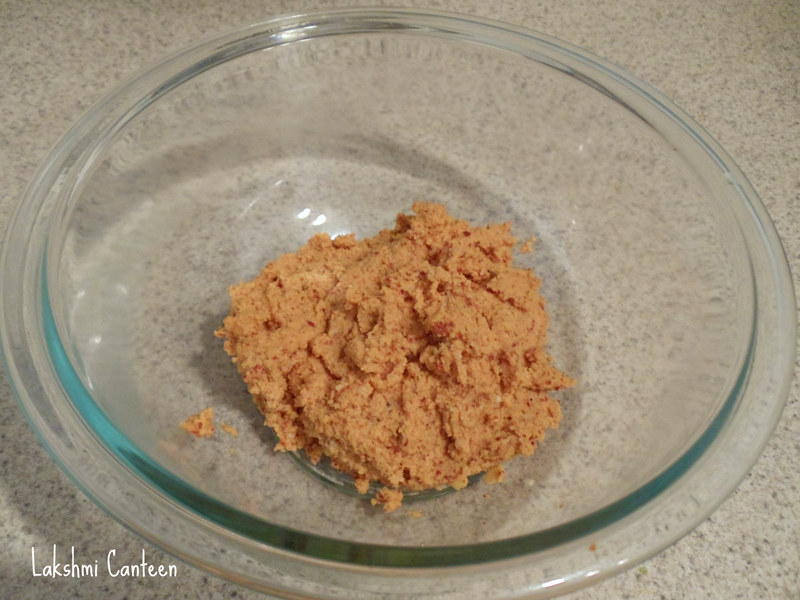 Take all purpose flour, red chilli powder, asafoetida, baking soda and salt in a bowl. Mix it and set it aside. Now heat the ghee until it gets pretty hot and then add this to the flour mixture (it should sizzle as it hits the flour surface). Mix in the ghee with a spoon. 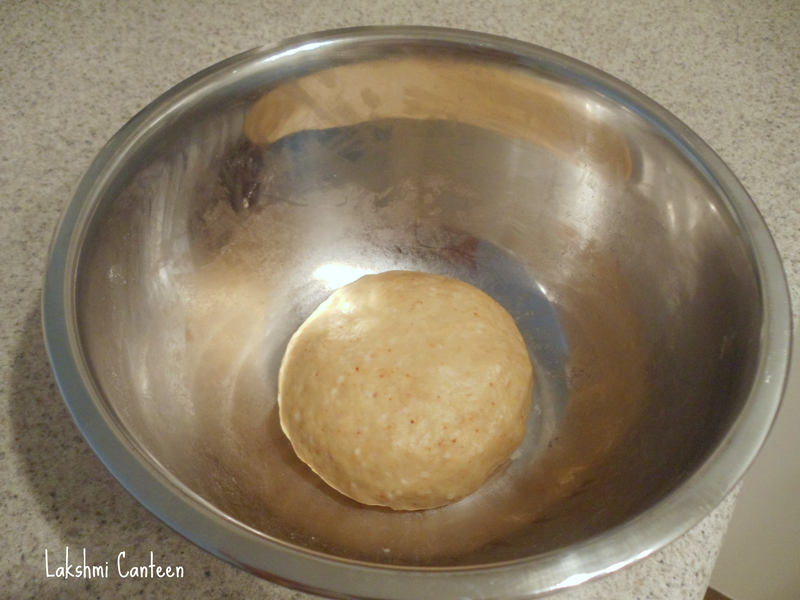 Then add water in small amount to get a non- sticky soft dough. Let it rest (covered) for 15 minutes. 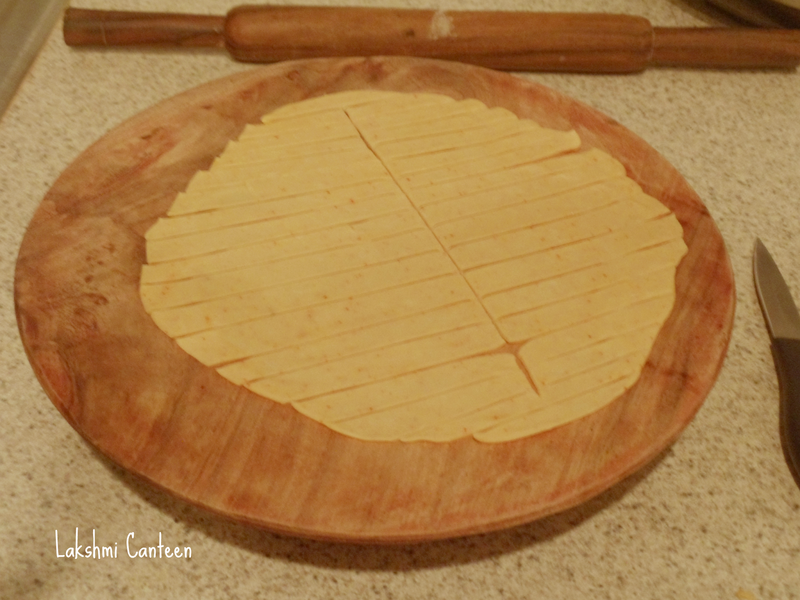 Now divide the dough into five parts. Meanwhile keep the oil for heating. 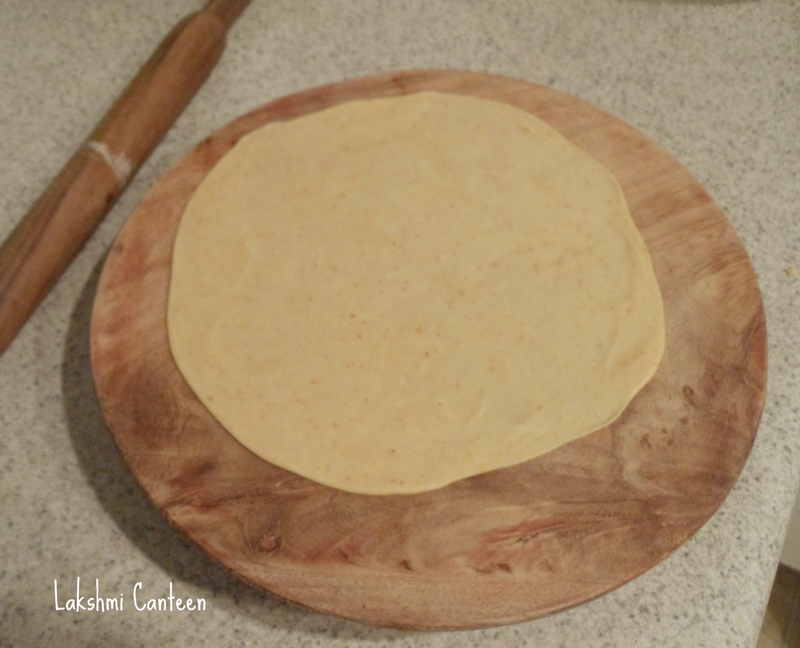 Then start rolling a piece of dough (use some flour while rolling to prevent it from sticking to the surface) into a circle of size 10 inch in diameter. Then cut it into thin strips (1 1/2 inch in length and 1/4 inch width or any desired shape and size). Then start frying them in hot oil (in batches) until they turn golden brown on both sides. Once done, drain them on a paper towel to remove excess oil. 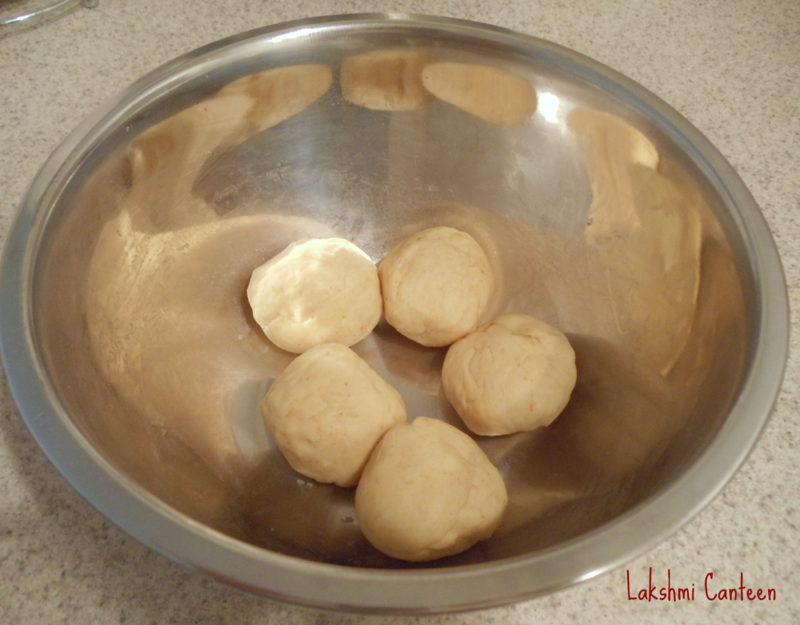 Continue frying with the rest of the dough. Alsando is ready!! Transfer them in an air tight container after cooling. 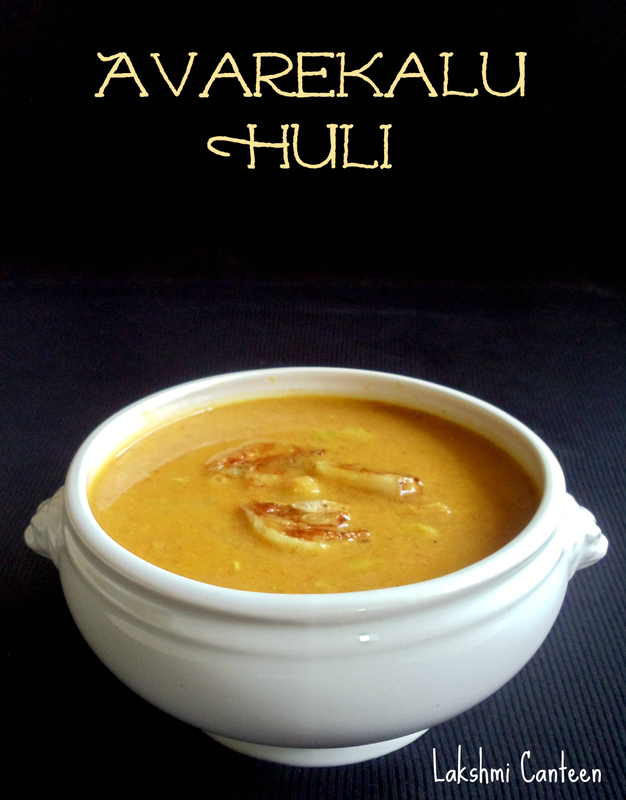 Avarekalu Huli is a flavorful curry made using hyacinth beans or field beans. This beans is very popular in Bangalore. A part of my childhood was spent in Bangalore. During that period my mother got this recipe from our neighbor. She has been making it since then and it has become one of our favorite family dish. 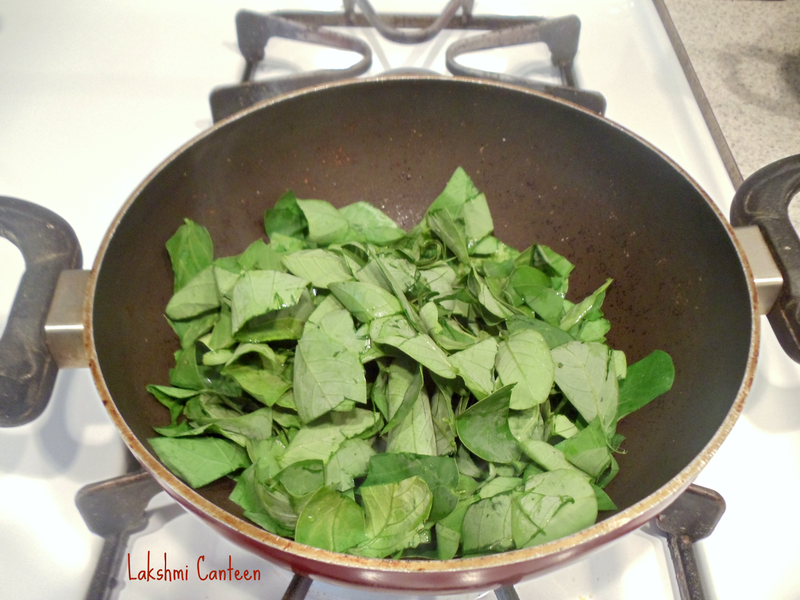 Recently I found fresh beans in Indian stores and I brought it right away to prepare this dish. I prepared this for the first time and my husband liked it a lot. It indeed made me nostalgic. 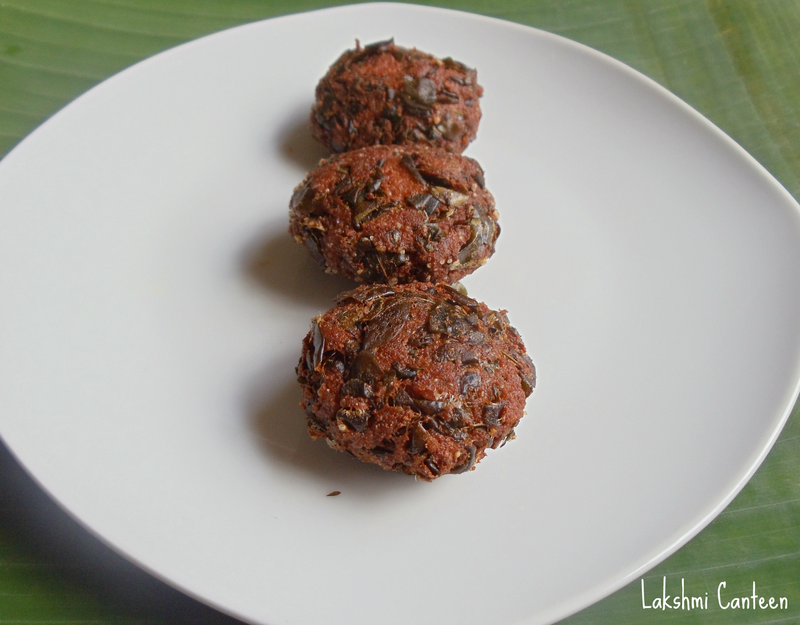 Do try this recipe and enjoy!! *You can increase the amount of Avarekalu (upto 1 cup). I just had 1/2 cup which was little less for me. Remove the beans from their pods. 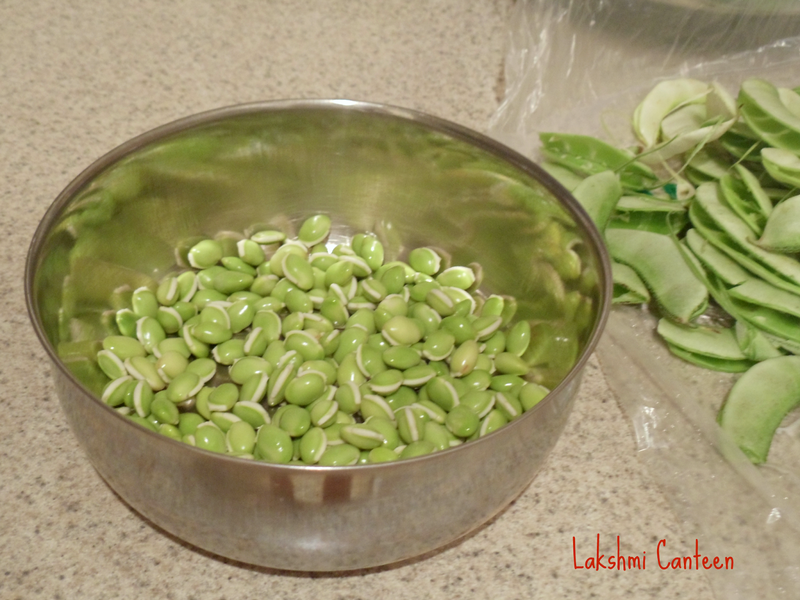 Soak these beans in water for 4-5 hours. Then again remove the outer skin carefully. Once done de-skin the potato and make small cubes of it. 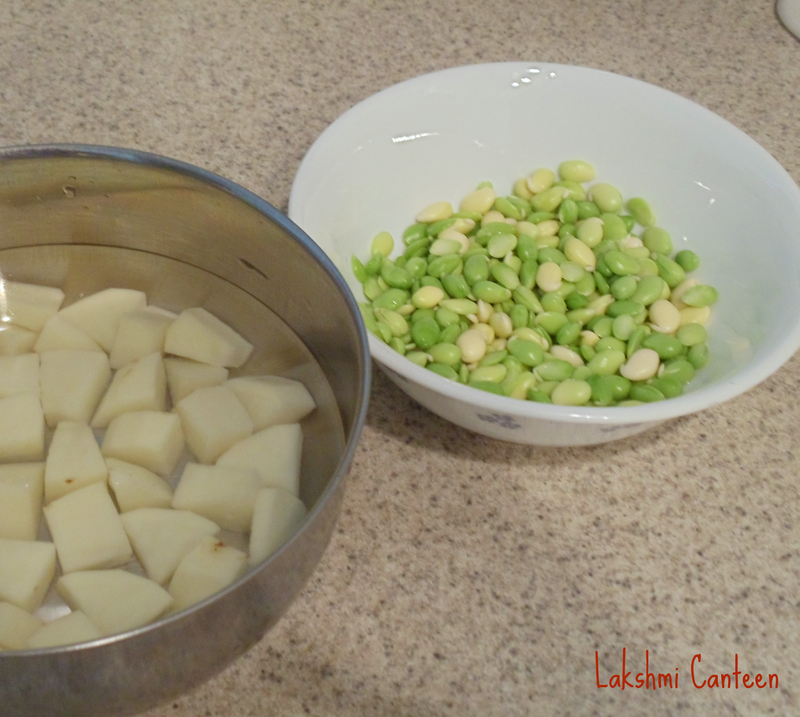 Now put the peels beans and potato cubes in a pot along with water and salt. Cook them on a medium flame until they are soft (but still hold their shape). While beans- potato mixture are cooking, prepare the masala. Take a pan and fry the dry red chilli in few drops of oil. Then transfer it to a bowl. 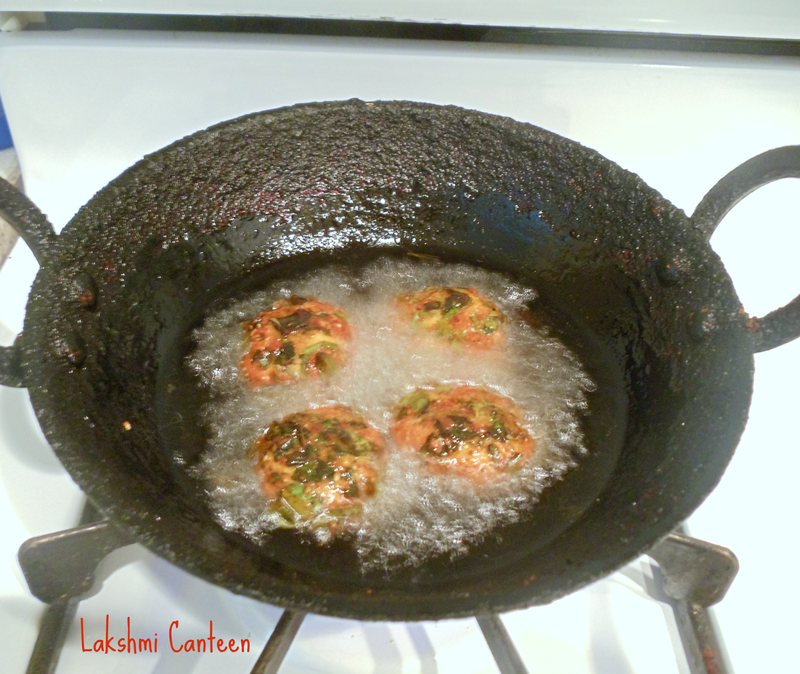 In the same pan continue frying coriander seeds, cumin seeds and fenugreek seeds separately until fragrant and light brown (add few drops of oil while frying the spices). Transfer all of them in a bowl. Now in the same pan, add few drops of oil and start frying half of an onion, roughly chopped. When it starts to turn light brown, add in the grated coconut and continue frying until a nice aroma is got (don't brown the coconut). When done turn off the heat and add turmeric powder and asafetida. Mix well and set it aside to cool. Now take the fried red chilli, fried spices, fried onion- coconut mixture, remaining half of raw onion and tamarind in a blender. 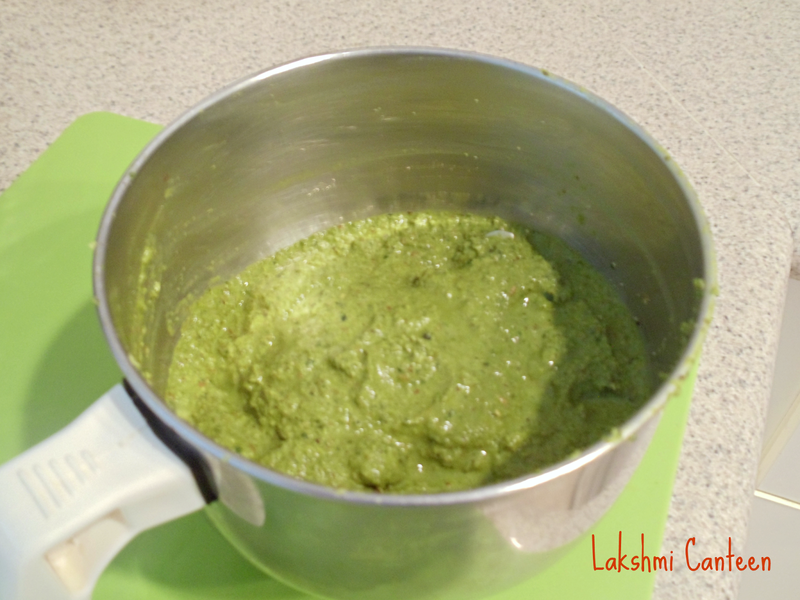 Grind it to get a smooth paste (add little water while grinding). Now add this masala to the cooked beans- potato mixture and mix well. Let it come to a boil and then continue heating for 4-5 minutes. Then turn off the heat. The final consistency of the dish is medium thick. So add water accordingly to attain the desired consistency. Final step is to add the seasoning. For seasoning- Heat oil. Once hot add the crushed whole garlic pods and fry until they turn golden brown. 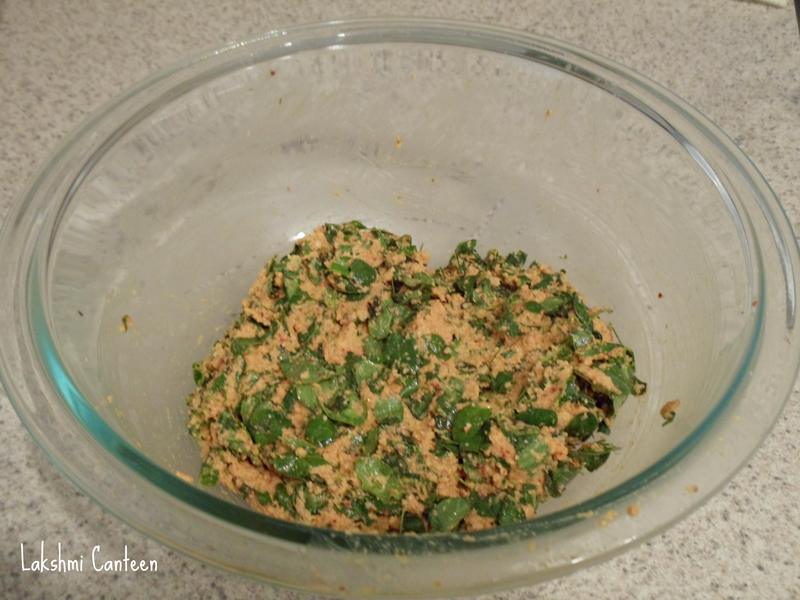 Once done, add it to the prepared dish and mix well. Avarekalu Huli is ready!! 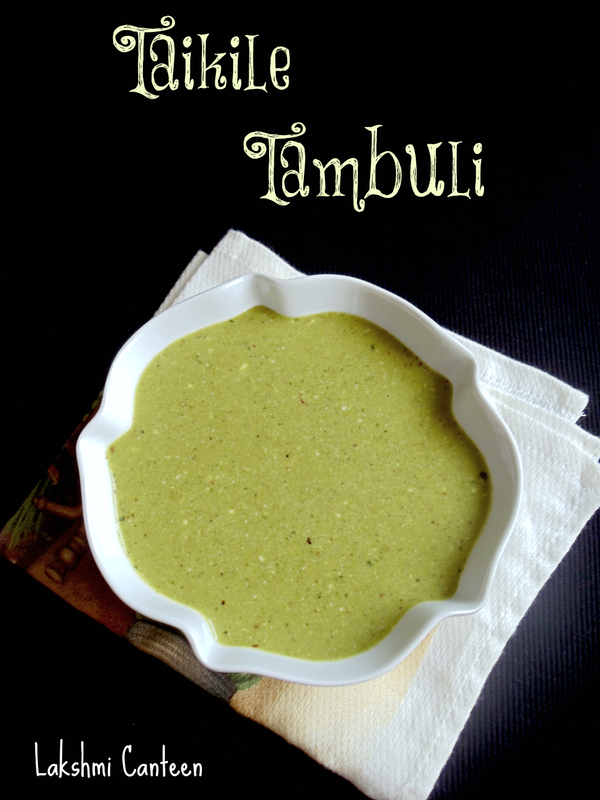 Taikile Tambuli is a yogurt based, 'no cook' side dish. 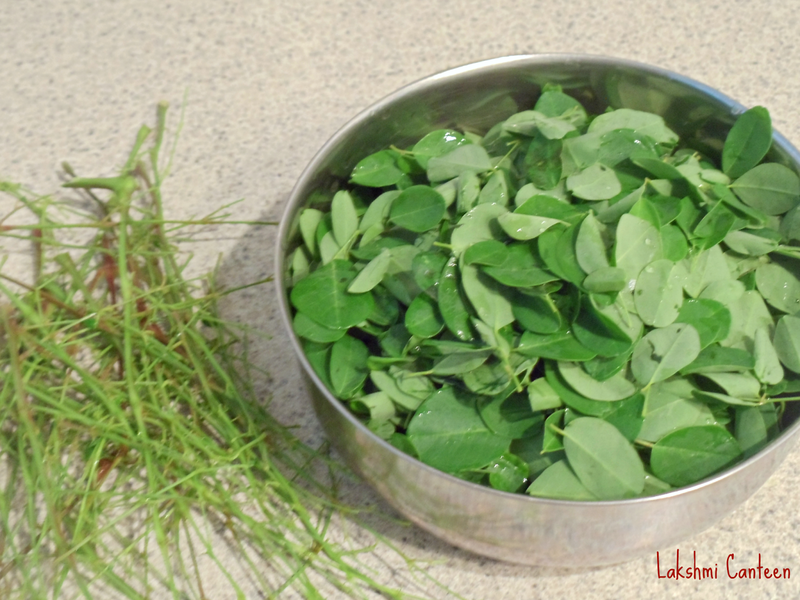 Taikilo or Cassia Tora is an edible weed which grows like crazy during the monsoon season in my native (and many other regions too). 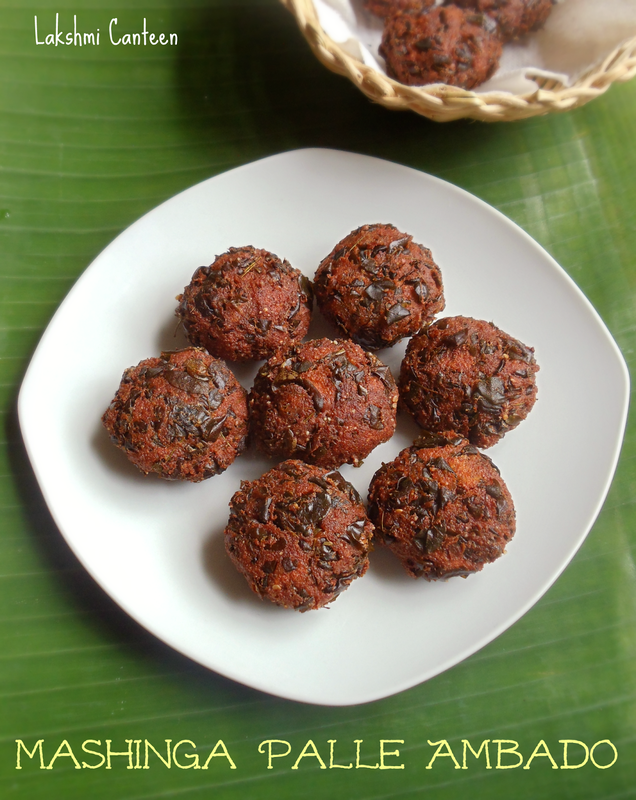 It is slightly bitter and we make spicy dosas, fritters and spicy idlis using it. My mother makes them every year without fail and trust me she makes the best ones! 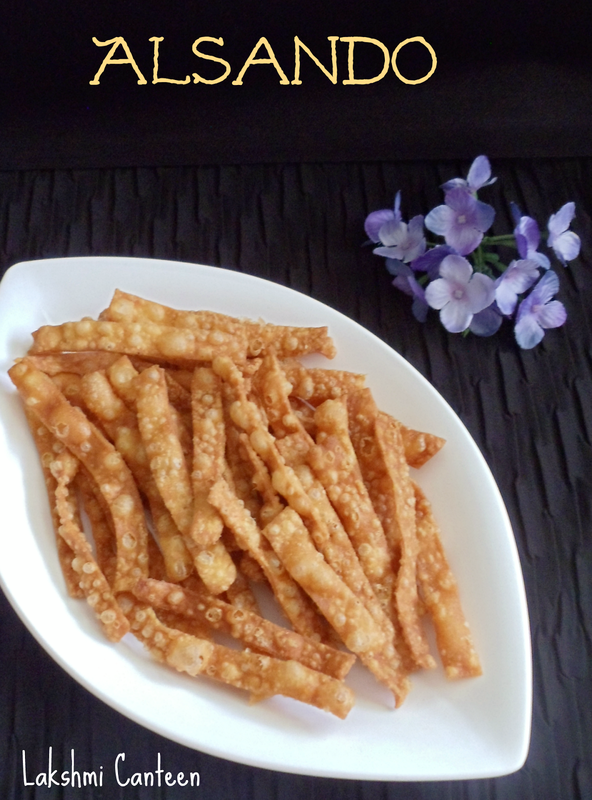 I am a great fan of Taikilo (cassia tora) but unfortunately it is not available where we stay. Every year I crave for it when my mother mentions me about it. Finally my wishes came true and I got a packet of these leaves during a recent get together. It was like finding water in the middle of the desert! I am seeing it after four long years and I was the happiest person in the world. 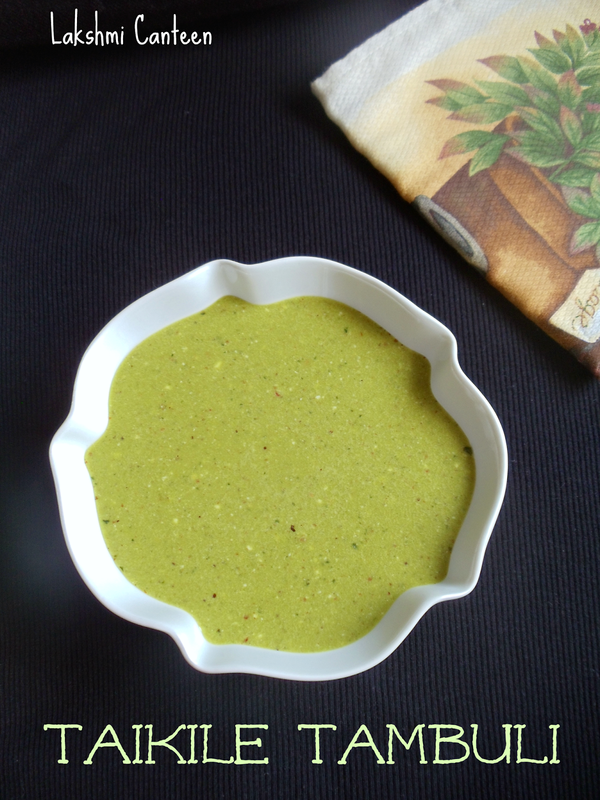 I wanted to try a new recipe using it so that I can share the recipe here. I asked my mother and MIL about how to make tambuli. But they didn't have any recipe. Finally I found the recipe in a cook book written by Jaya V Shenoy. 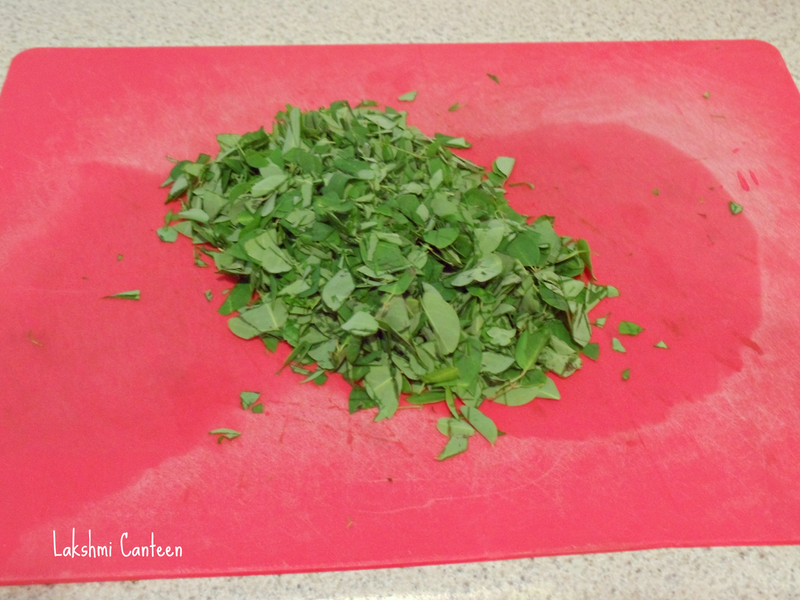 The original recipe used mixed tender greens. I used only this leaf and it turned out pretty good. 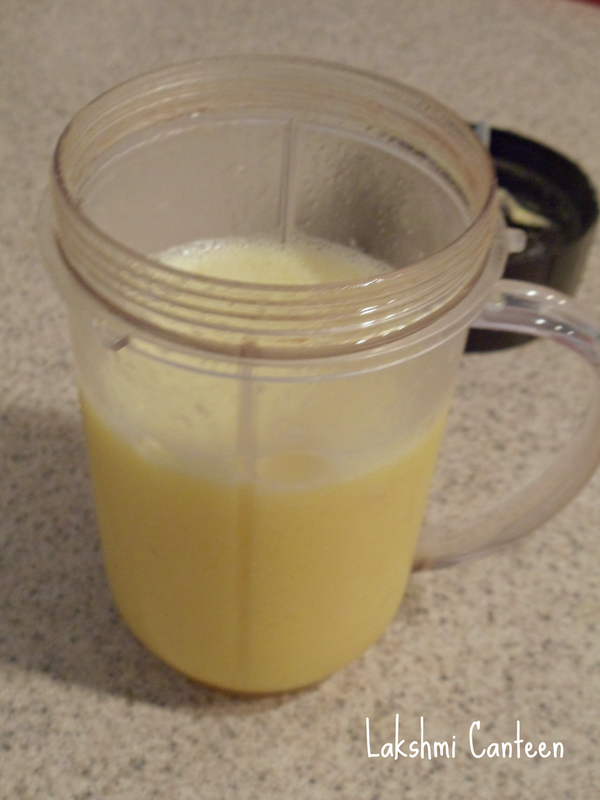 *I just diluted 1/2 cup of yogurt with water to get little more than 3/4 cup of buttermilk. 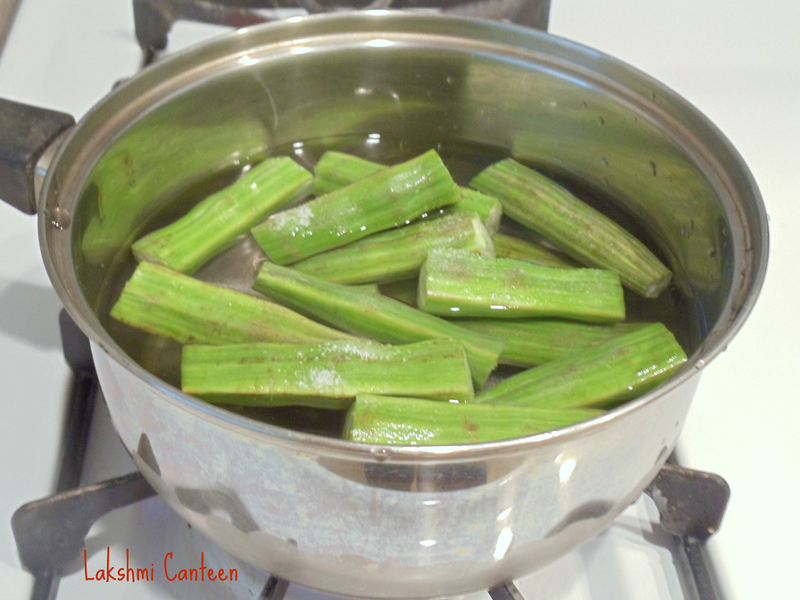 Remove the leaves from the tough stalk and rinse the leaves under cold water. Then pat it dry using a kitchen towel. Now give a rough chop. Take a pan and fry the dry red chilli in few drops oil for a minute and set it aside to cool. 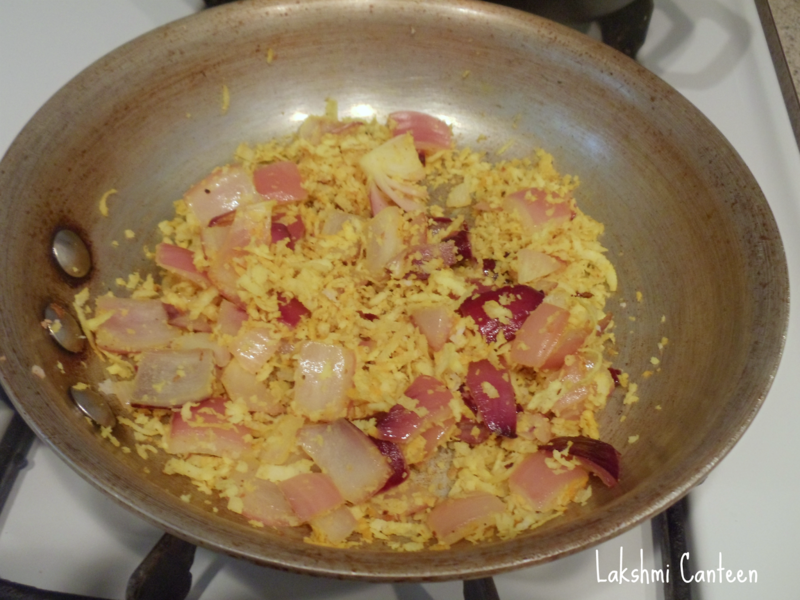 In the same pan, add some ghee. Once hot, add mustard seeds. After it starts popping, add cumin seeds. 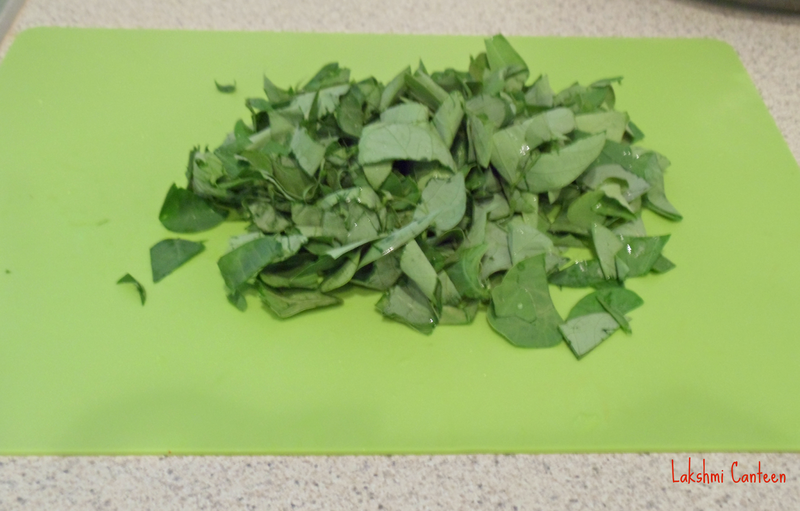 Then add in the chopped leaves. Fry it until it gets wilted (it takes only few seconds). 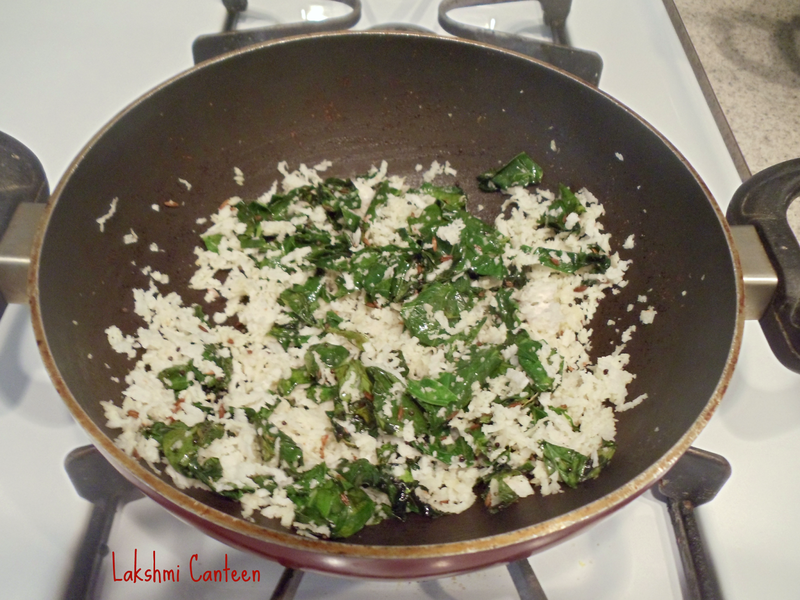 Then add in the grated coconut and fry it until a nice aroma is got (don't brown the coconut). Then turn off the heat and allow it to cool. 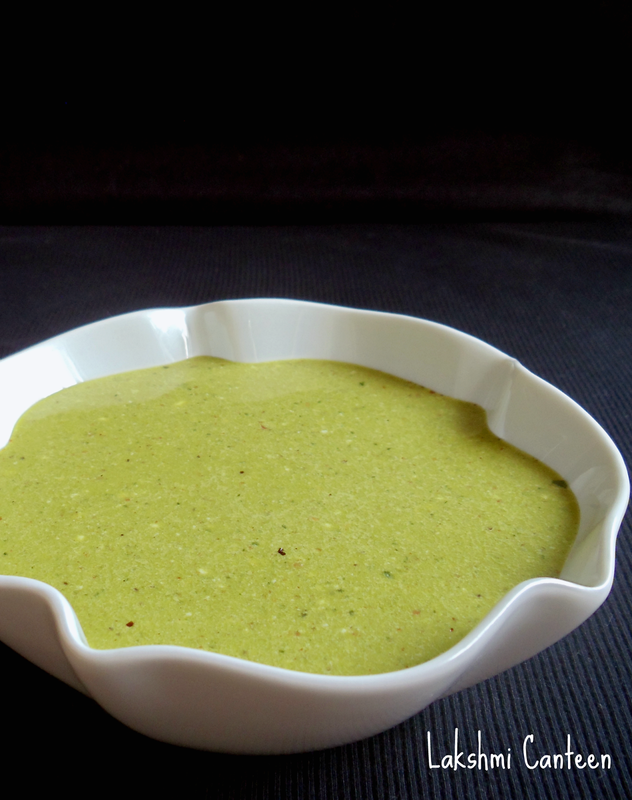 Once cooled, add it to a blender along with roasted dry red chilli and salt. 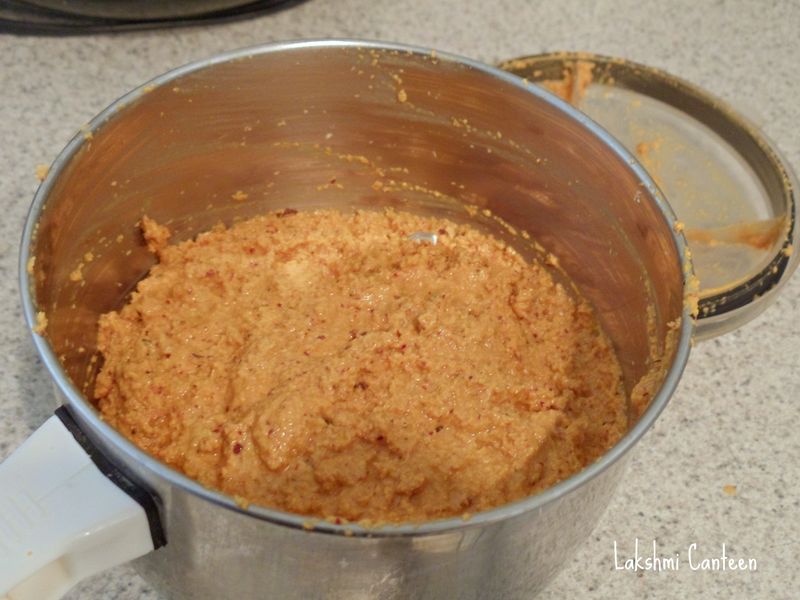 Grind it to a smooth paste by adding little water. 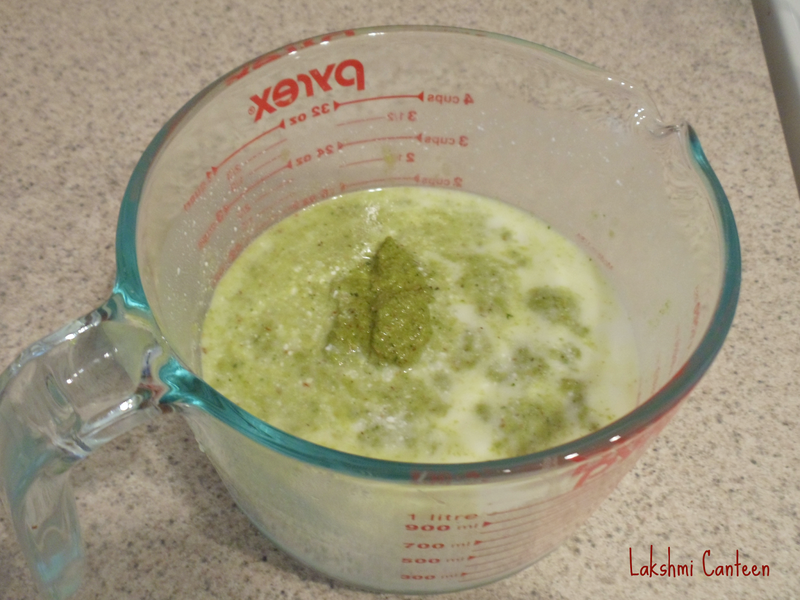 Add this paste to the buttermilk. Mix well. Add water to get the desired consistency. 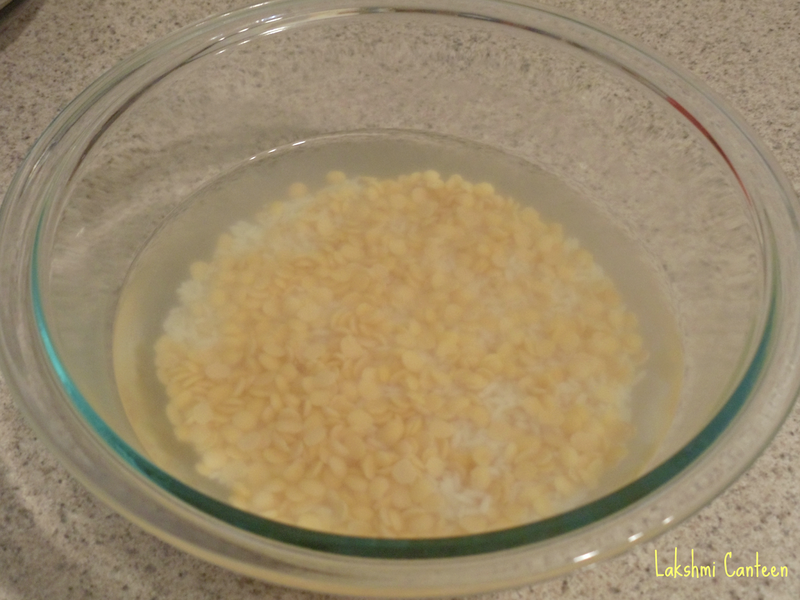 Serve it as a side dish to rice or you can drink as is. Above measurement serves four people. 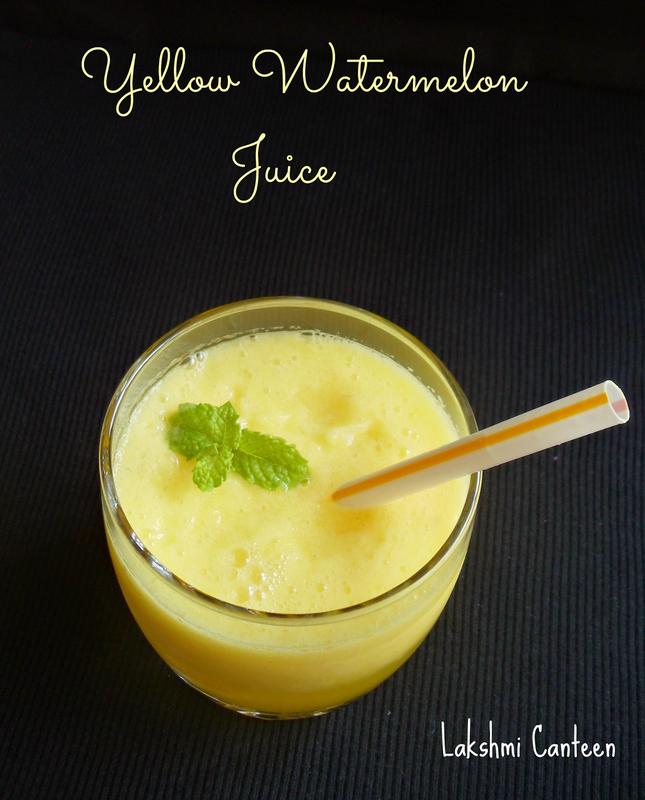 Watermelon Juice is an excellent drink for summer. 95% of the watermelon is water and hence it is a great fruit for summer. 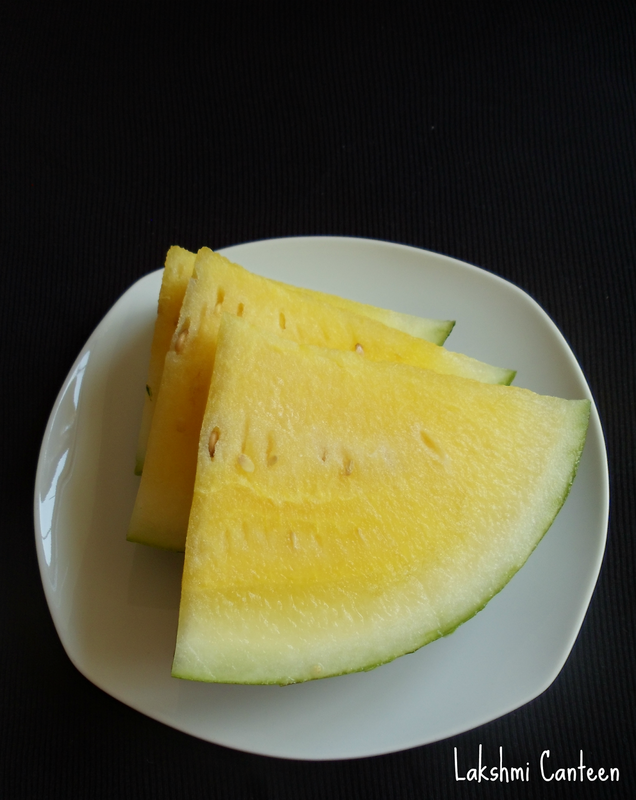 It is one of my favorite fruit and like to have every week during hot days. Cut the watermelon discarding the peel and seeds. 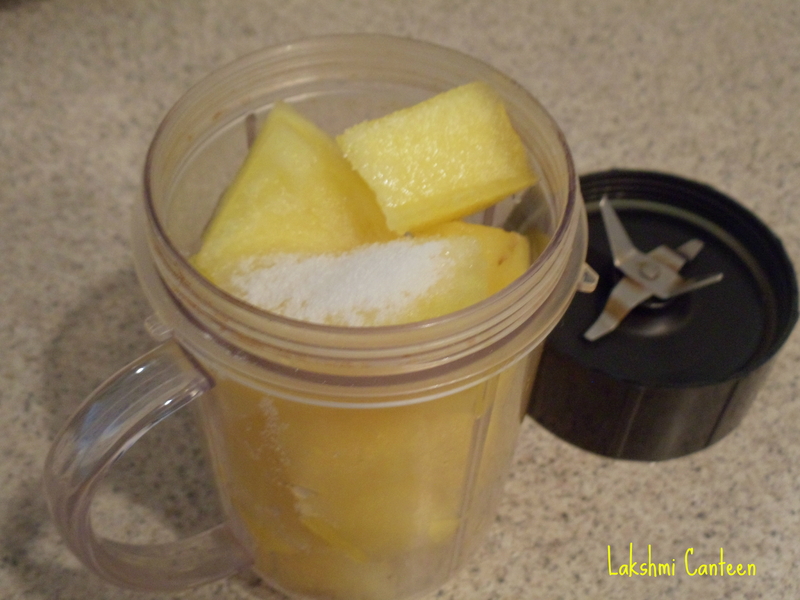 Then put it in a blender along with sugar and salt. 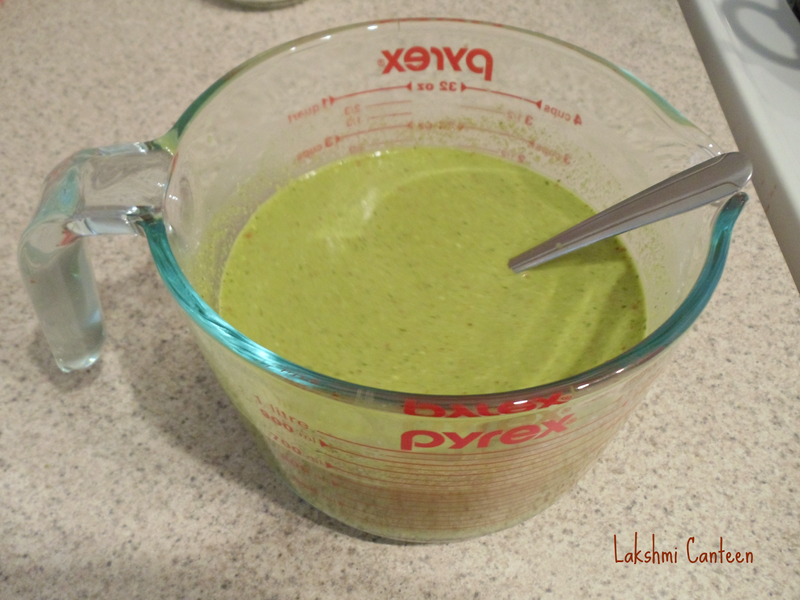 Blend it to get a smooth mixture. At this point you can strain it or serve it as it is. 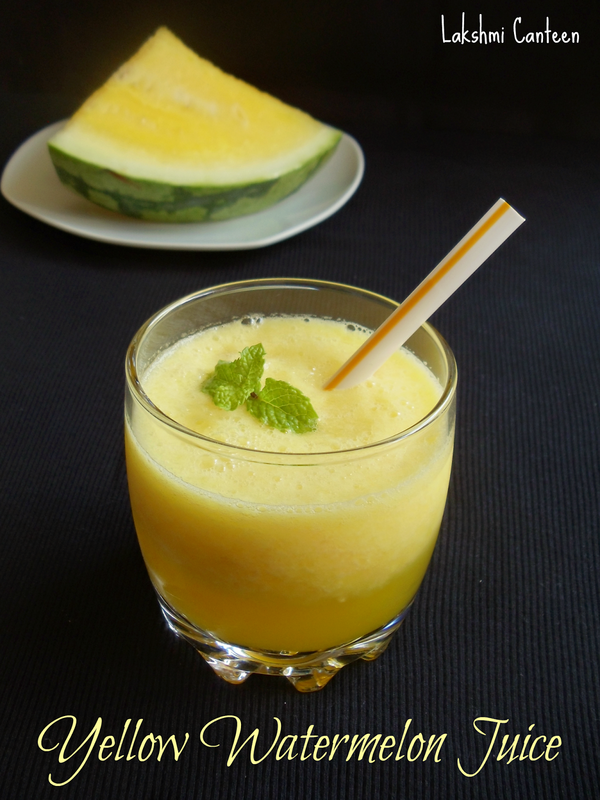 Yellow Watermelon Juice is ready!! Serve it chilled. Above measurement serves one.